Beautiful house located in Nerja, with 3 double bedrooms all with fitted wardrobes. Two of the bedrooms are on the first floor and the third is in the átic. There is 1 family bathroom and 1 guest room, an independent and fully fitted kitchen,and a lounge / dining room with a chimeney with a spacious terrace with sea views. 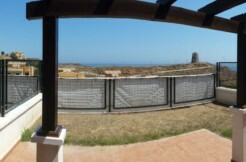 Located 1 km from the beach, with incredible views and west orientation. 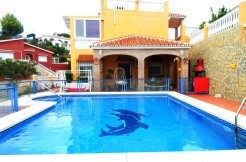 Has a private garage, a communal garden and a communal swimming pool with beautiful sea views.